The Roscoe Guitars Classic series. We proudly introduce Roscoe Guitars "CLASSIC SERIES" bass guitars based on the all time classics in the world of electric bass guitars. The "CLASSIC SERIES" is based of the designs that set the standard both in live and studio performance used by many of the great players over the years. Our new "CLASSIC SERIES" of electric bass guitars builds on that design aesthetic with the handcrafted attention to build quality and detail that Roscoe Guitars is world famous for. There are six models to chose from in this series. The Classic and Classic Custom J models, the Classic and Classic Custom P models, and the Classic and Classic Custom M models. All models can be ordered in either four or five string configurations, Alder or Swamp Ash (Optional) body woods with a variety of finishes styles and colors. Classic neck is graphite reinforced Maple neck with Maple or Pau Ferro fingerboard with dot inlays, Classic Custom adds Maple fingerboard with Black Block inlays and Binding or Pau Ferro fingerboard with White Block inlays and Binding (Please see the Classic series retail.pdf files for more information). 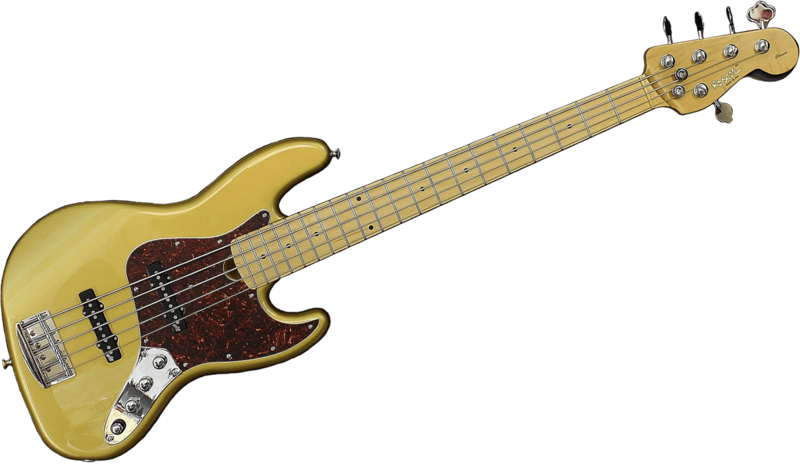 The Rosoce Classic Series bass guitar offers many combinations of options to help you achieve the sound you dream of, at a starting price of $2,395.00.